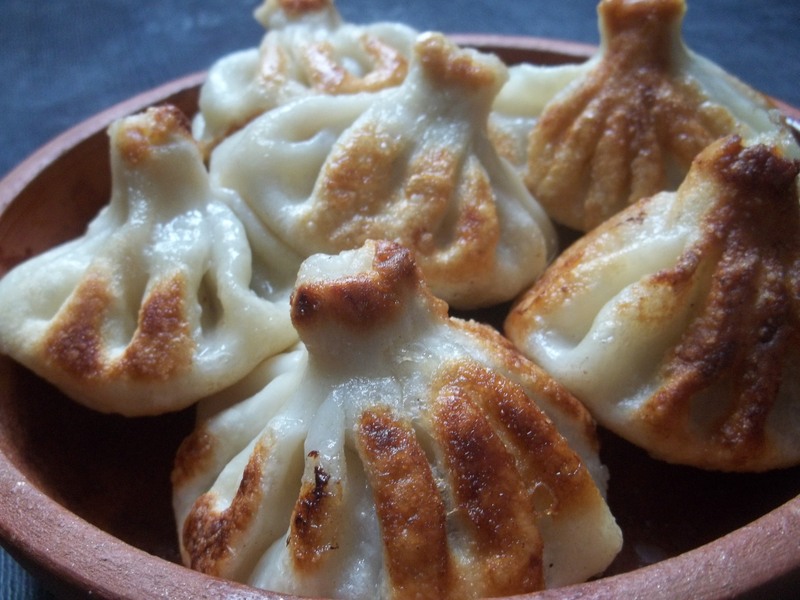 Khinkali (Georgian: ხინკალი) is a very popular Georgian dumpling made of twisted knobs of dough, stuffed with meat and spices. It is considered to be one of the national dishes of Georgia. It is also delicious when fried! Follow the step-by-step photo recipe for making Khinkali and when they have been boiled, fry them in a shallow pan on a medium heat for 5-6 minutes, turning frequently.